WaterLase dentistry is an advanced form of dental treatment that carries a number of important benefits for patients. WaterLase uses a combination of focussed laser light energy with a stream of water to perform some dental treatments that usually require drills. This technology is both precise and incredibly gentle. It has become a crucial treatment technique in dentistry on the back of its ability to improve patient outcomes. Almost Pain-Free Dentistry: While WaterLase isn’t completely pain-free, it is as close as any dental technique has come towards this goal. The sound and the feel of a dental drill are the main causes of phobias, and WaterLase eliminates the need for the drill (and, therefore, the sound and feel). Gentle on Gums: The technology is far gentler on surrounding tissues than a drill, meaning you don’t have to leave the dentist with a swollen and sore face. Fewer Needles: In some cases, no anaesthetic will be needed to perform procedures, which means no needles either! More Natural Process: The technology actually uses the water in our teeth to create the necessary incisions. The laser activates water molecules and, as they bump around, they cut through the teeth and because the laser is combined with a stream of water there is no heat, which minimises the pain. 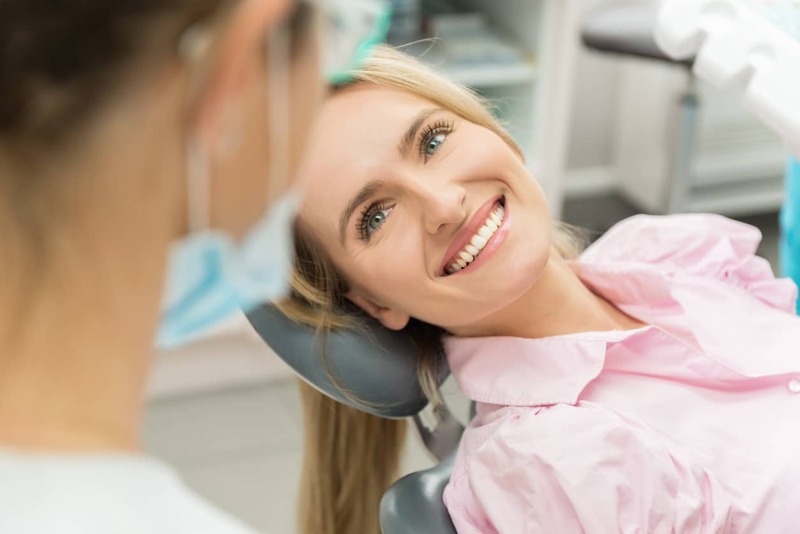 Fewer Appointments: Because needles won’t be necessary your dentist can take care of multiple procedures in the same visit, instead of having to space your treatments out over multiple appointments. This is a lifesaver for those that struggle to find time for important dental appointments in their busy schedules. 100% Safe: WaterLase has been cleared for many dental uses, for both adults and children. Authorities love the precision that WaterLase offers. Plus, far less tooth is lost during interventions when compared to traditional drills. And, of course, anything that removes the need for anaesthetic is a good thing. Less trauma: The absence of a drill means there is less chance of interventions causing cracks and fractures in teeth. There is also less cutting involved, so soft tissue doesn’t swell and bleed as heavily. Decreased infection rates: WaterLase doesn’t require any contact with the tooth, so the risk of a patient’s mouth becoming infected due to cross-contamination is greatly reduced. Root Canal Therapy: WaterLase is perfect for cleaning and deepening pockets before they are sealed. It can also be used for root disinfection after endodontic treatments. Soft-Tissue Applications: WaterLase can be used to perform several soft-tissue therapies including, exposure of un-erupted teeth, gingival troughing for crown impressions, gingivectomy, gingivoplasty, gingival incision and excision as well as the removal of diseased tissue and growths inside the mouth. Resection of gum bone to restore natural structure of bone. Aesthetics: WaterLase can be used to contour your gums to make the size of your tooth more uniform or improve the look of a gummy smile. It can also be used to prepare your teeth for many cosmetic dentistry techniques. Speech Therapy: WaterLase can be used to fix a ‘tongue-tie’ by gently cutting away at the connective tissue and freeing the tongue so patients can make all the vocalisations that are necessary for effective communication. dhealth Densitry is committed to using the latest in technology to deliver outstanding outcomes to our patients. That’s why we have included WaterLase as part of our dental practice. We’ve seen how effective it is and we love the fact that patients who were previously too frightened of dental procedures are now getting the treatment they desperately need. If you’d like to learn more about WaterLase or would like to book in for an appointment don’t hesitate to contact our team today.